In case you’ve been living under a rock for the past week… no, scratch that… the past year, you may have been hearing a little about the election. The United States of America has a brand new the same President. Nice guy, funny guy, married to Michelle Obama. Yes, despite the hopes and dreams of the most “Fair and Balanced” news network there is, President Barack Obama has four more years. 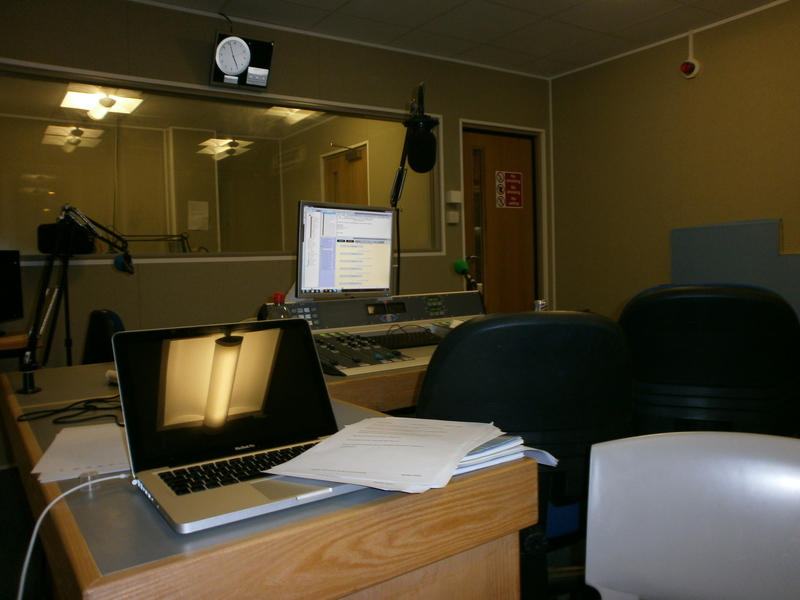 I spent Election Night (more dramatic when capitalised) producing four hours of radio coverage for my uni with my best friend, Hannah. Now, my university is in the UK, so not everyone was in the know when it came to electoral math, the candidates’ policies or, indeed, anything to do with American politics. Hannah and I quickly realised that we may well be the most informed pair on our team (little worrying). Thus, our job for the night was to make our on-air presenters sound like the most informed pair. And we did it well. A particular highlight was when we prepared an interview for Dr. Libby Lewis on women in politics, allowing us both to ask questions we truly wanted the answers to. Libby Lewis is an academic whose research focuses on the mainstream media’s representation of women in power. We asked her about the focus on women’s issues in this election, public interest in the appearance and fashion sense of female politicians, the varying approaches to the role of First Lady, and how the media presents female politicians, with particular reference to Hillary Clinton as a potential presidential candidate for 2016. Her responses were engaging, interesting and, a lot of the time, inspiring. Just another person for us to fangirl, quite honestly. As the night went on, the results became our focus as states started being called. My memories from the early hours mostly involve pacing corridors muttering, “Ohio or Florida, Ohio or Florida, Ohio or Florida… they gotta get called soon…” We may well have gone all the way ‘round the bend and back again! The survival of our sanity must be credited to the one and only Nate Silver. He’s been getting a lot of credit but truly, in the words of Jon Stewart: “LORD AND GOD OF THE ALGORITHM!” We were just repeatedly going between our FiveThirtyEight tab to the HuffPo electoral map. When it came to it, neither Ohio nor Florida mattered much. In the case of Florida, that’s a huge relief because we may still be awake and waiting for a concession speech now. Obama’s win was a strong one. The result came in at 4.20am our time, ten minutes before our radio show was due back on air (we did two two-hour shows). Now it’s four days later. The campaigns are over, the Romney Facebook page has begun its rapid descent and Ohioans can finally leave their houses again. So what’s next? To take a look at the next four years beyond the job of President, I turn my attention to the other landmarks of the 2012 Election: the first openly gay senator was elected, the first disabled female veteran was elected to congress, Massachusetts elected its first female senator, the first Hindu woman was elected to the Senate, the first states have legalised recreational marijuana, Akin and Mourdock both lost their senate races, Maine, Maryland and Washington all voted in favour of gay marriage with Minnesota rejecting a measure to ban it, and New Hampshire will have an all-female congressional delegation. Long list? I should hope so too. And there are more. A new academic year, a brand new blog. Yes, I’m Bridget Jones today, hiya. I wanted to cover a topic that I’ve seen discussed quite a bit lately: university life. On vlogs and blogs, from friends and strangers, there has been talk of freshers and work and the pressure to fit in with the university way of life. And, god, is there pressure to fit in. Not to conform necessarily, but to be a person that other people can accept. It’s so not my forte. I’m a little bit a lot weird. Evidence my point? Okay. I talk excessively about my obsession with fictional White House staffers. I like my socks to have animal patterns. I imagine cars to have faces. When lecturers include pictures of politicians from the first half of the 20th century in their powerpoint presentations, I often mutter to the person next to me, “He can get it”. To the people reading this, all weird in your own ways I would hope, don’t alter your quirks. They are yours and when you lose those little things, strange as it may sound, it is everything. Let me explain. I’m currently in the first term of my first year as an English student at Bournemouth University, though I wouldn’t call myself a fresher. In May of this year, I was taking my second year exams for Event Management. Over the course of those two years, I became increasingly depressed, with a side order of insomnia. I was desperately unhappy for so many reasons, the biggest of which was loneliness. I was good at my course. I worked hard. I finished the second year with a high 2:1. However, the overwhelming number of group work assignments meant that I was often left carrying the load of four people. Added to that, the general profile of my fellow students was so at odds with my own personality that I struggled to find friends, and my sobriety made me a social pariah. I was acting like a distorted version of myself, because I felt that I couldn’t be me. Nevertheless, I coped relatively well in the first year. I kept my head down, I got the grades and no one questioned it. I couldn’t accept the idea of quitting or failing. A conversation I’d had with my father on A-Level results day was always at the front of my mind. He’d told me I was the first person in his family to go to university, and he was so proud. My desire to justify that pride tortured me. At the beginning of my second year, concerns that I had previously been able to keep at bay became overwhelming. I was so deeply depressed that I didn’t want to leave the house. To make matters worse, I wasn’t sleeping at night. Right up until Christmas, the rest of the world was still relatively oblivious. People I was working in groups with probably thought I was just very highly strung, but other than that no one knew anything. I would go to my lectures and seminars, reluctantly, do what I had to and rush home to cry in my bedroom every single day. I felt pathetic. In January or February time, my façade began to fracture when I burst into tears in my mum’s office. I don’t cry in front of people. It’s not a thing I do. This was the first time my mum had seen me get upset in years, and she didn’t seem to know what to do with me. Afterwards, I brushed it under the carpet. For some reason, it took me until then to actually identify how deeply unhappy the course was making me and how lonely I was. The pressures of two years of work, two years of finances and the screaming thought of, “What the hell do I do if I’m not doing this? !” made it hard to accept that my degree was wrong for me. I knew in my heart I wanted to be studying English; the process of writing was what I loved. In fact, recreationally I was writing more than ever during this time. It was my escape for so many months. The conversations with my parents were incredibly emotional, as was that whole period of my life. With the support of my best friend, I pursued the application to transfer courses within the university. I completely believe that everything that it meant to me translated onto the page of my personal statement, and that’s what did it. Now, here I am. I’m an English student. I really like the people on my course. The fact that I’m weird doesn’t seem to bother people so much here. I mean, I still live in the real world so I can’t be as Lorelai Gilmore as I’d like (pop culture references that people don’t get just result in awkward moments), but I’m happy. Ultimately, what I’m saying is: changing courses isn’t easy, but it isn’t quitting. If you are unhappy, address it. Until you do, it won’t go away. In my experience, denial just breeds further unhappiness. And you deserve to be happy. Your journey at university should be an enjoyable one. Open up and be a little cray; it’ll lighten the load.